Remote working and working from home isn’t a recent phenomenon as many believe. In fact, for as long as people have had homes, there has been the ability to have a common area whereby people both live and partake in business ventures also, such as cottage industries. But following the industrial revolution which led to the establishment of multiple factories and production centres across the country, rates of home working reduced due to the increased demand for workers in the factories and large mills. It wasn’t until nearly two centuries later, in the 1970’s that the term “remote working” came back into the working lexicon. Thanks to technological advancements, ever since the 70’s and increasingly so in the past five years, remote working is now ubiquitous with many employers offering flexible hours or hiring satellite workers across the world. Remote working describes when employees fulfil their job role and its duties away from a centralised office. It is also known as telecommuting and telework. 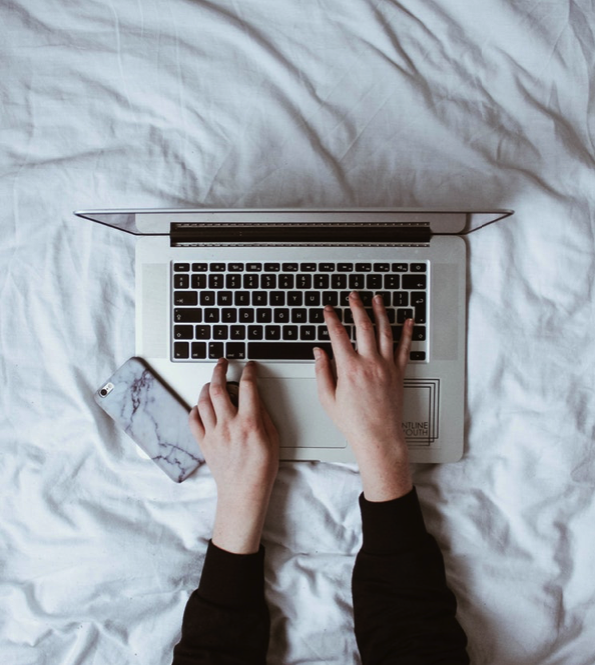 As working remotely has become increasingly popular, let’s investigate the positives and negatives of this way of working, both for the employees and the organisation. Remote working can reduce the stress levels of individual employees as well as the overall stress levels of the company. With remote working, people can work in a way that suits them, be this from the comforts of their duvet, starting late and working into the evening, or in a local coffee shop with a friend. This flexible structure can bring many advantages to the organisation as well as it can increase productivity and boost happiness levels, mainly because employees are free from the monotony of a commute. How can that be, when they’re working away from colleagues? Well, the widespread presence of smartphones, social media and wireless connections means you don’t have to be in the same room as someone or even in the same country to be able to communicate with effectively. Also, with the creation and progression of remote administration, cloud-based project management and video conferencing, it has become easier than ever to get in touch with you colleagues without being physically present. It is so expensive nowadays to find available office space and meeting rooms for reasonable rent prices. So, by hiring remote staff, the organisation can save money on property costs. New ways of working require developing new roles in the organisation. This could include roles such as “remote workplace manager” whereby the person ensures that the remote workers “touch base” with the workplace and update remote workers with relevant changes and progressions in the organisation. Some people need a structure to their day to be able to get motivated and be productive. Working remotely with a lack of structure or direct accountability can mean some people won’t be as efficient with their work and produce less work than they would do if they were in a ‘natural working environment’ such as at a desk in an office. This potential risk depends on the type of job, personality type of the worker, and the way the organisation structures their remote workers’ days. One tip for encouraging engagement would be to hold short daily meetings first thing and at the end of the day. This would mean that workers have to be up and ready to meet, and also have a deadline for when they need to discuss the work that they have been doing that day with the rest of the team. This can aid motivation when people are at home with lots of distractions. Working from home means distractions from an employee’s personal life. There may be small children that demand attention or the temptation to turn the TV on in the background can make employees lose concentration for an hour or two during the day. Also, not working with other people can be demotivating and also mislead. Employers might think they are productive, but without the focus of an office space surrounded by other workers, it can be hard to gauge productivity and keep to a working routine. Even though technology facilitates constant contact with co-workers, virtual interactions are not the same as face-to-face physical relationships. There are no opportunities for banter or office chats – conducive to building strong working relationships – or for getting lunch together as everyone’s working in different places. Quite often, remote workers say they feel isolated at home without an office to go into. However there is a medium. Many workers have a balance between the two, remote-working three days a week, and going into the office 2 days, meaning they still get that social balance we as people need to carry on. Stricter management style, with forward-thinking and trust between both managers and staff. Virtual and in-person meetings are a way to maintain the closeness and efficiency of the team. Communication! The most important of them all. Even though workers aren’t physically in the same place, the organisation and employees are working toward a common goal and want the same thing – a happy, productive work environment. Keep in touch! 0 Comments on "REMOTE WORKING: IS THIS THE END OF 9 TO 5?"